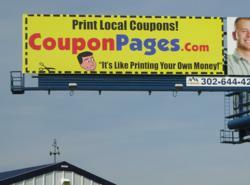 CouponPages.Com has a message to local merchants who are overlooked by most web sites... "Welcome"
Our message is clear. We want to give local merchants in every town in the county a place to advertise online. For some reason most sites ignore merchants in smaller towns. It's a disgrace! 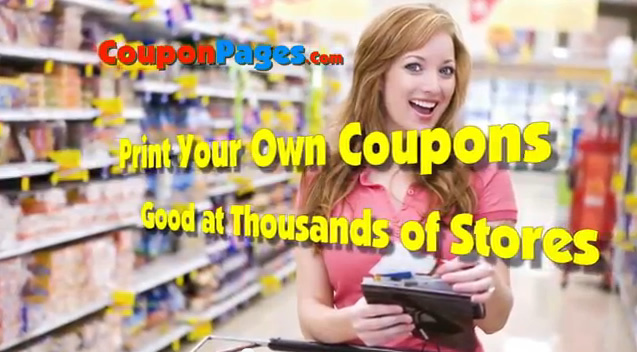 Compared to other coupon sites, CouponPages.Com is an anomaly because they have coupon offers from merchants in some very small towns that would have been ignored by sites like Groupon and LivingSocial. Although Deal of the Day sites Groupon and LivingSocial made headlines by focusing their efforts on local merchants, they only feature offers in hand selected cities within hand selected markets. CouponPages.Com on the other hand specifically seeks out these smaller merchants and gives them an opportunity to advertise online. "When we started running local offers in 1997, we did the complete opposite of what people would expect us to do. Instead of looking for big companies in big cities, we went directly to very small retailers in very small towns." said Joe Crescenzi, founder of CouponPages.Com. Crescenzi added "Our message is clear. We want to give local merchants in every town a place to advertise online. For some reason most sites ignore merchants in smaller towns. It's a disgrace! These sites add towns from time to time, but for the most part, most merchants are simply too small for them. In fact, they ignore the whole town. By contrast, we accept coupons from merchants of any size and from any town." According to Crescenzi, one of the key reasons other sites overlook them is because they feel they can't make enough money from them. "They are looking for large revenue sources and their model of selling simply doesn't work in small towns." added Crescenzi. "In a way I'm happy they skip over these small town merchants, because their business model is unfair to unsuspecting merchants who sign up for their services. Their entire business model is based upon them running an online campaign for a merchant whereby they ask the merchant to sell something on their site for 50% off, then they take 50% of the revenue as a commission. You heard that right... 50% of the revenue. So if a company normally sells a product for $100, they will not only lose money by selling it for $50, but they only get to keep $25. How is that good for business?" added Crescenzi. With CouponPages, merchants simply pay a flat fee to put their coupons on the site. Customers print the coupons and redeem them and there is no commission. They are not required to offer something at a massive discount or "Lead Loss", so they put the kinds of offers on the site that they are willing to give away every day, such as "Free Soda with Purchase of a Sandwich", or "Free Tire Rotation with Oil Change". Most of the merchants on the site purchased their ads from local representatives who act as distributors and consultants. They operate as part of CouponPages "Partner Program". These representatives are recruited through the site and from other Partners. Because the reps sell in their own town, they meet the merchants face to face, by selling door to door. "The Partner Program is the cornerstone of our company." said Crescenzi. "We have a small, but growing team of representatives who operate directly in their home town. Some of them are professional Network Marketers who found us because they were looking for a multi-level marketing (MLM) or franchise opportunity, but others are young marketing students or retired folks who just like to keep busy and make some money in their spare time." Although there are many pricing options available, depending on the number of zip codes, local merchants typically pay $599 per year for a coupon-page listed in 5 zip codes. 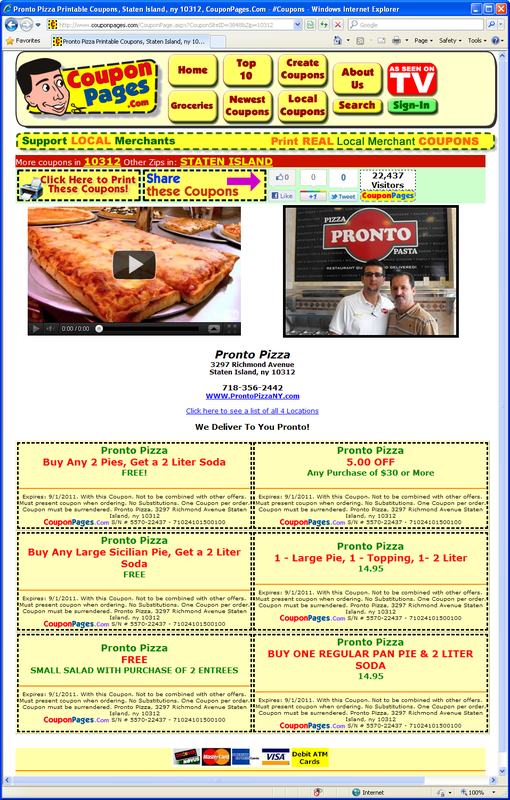 For more information about the CouponPages Partner Program, contact Brian Walsh at 732-637-8300 or at Brian(at)CouponPages(dot)Com.